It was a quick look before. 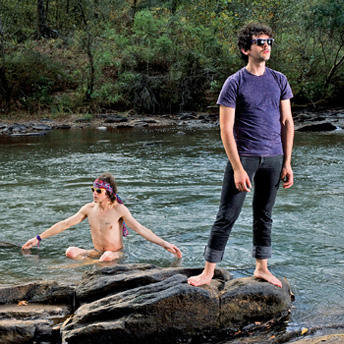 Here’s more of a story about MGMT. 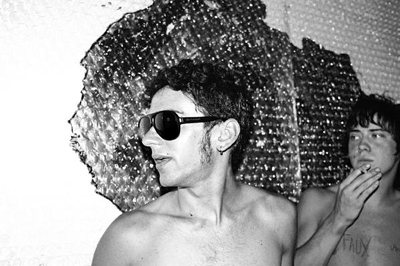 Also known as The Management, MGMT is the name for Ben Goldwasser and Andrew VanWyngarden of Brooklyn. After forming the band at college and touring to support their initial EP Time To Pretend, people took notice. The band started opening for Of Montreal. Sony wanted in. Four albums worth. Currently, their on the road with Fiery Furnaces, Toronto date in a couple days. Here’s the anthem Time To Pretend. If you check their myspace, you’ll hear the new version for the Sony release. I like the old version from their old label Cantora Records. Reminds me of a mix between TV On The Radio and Maps. For those of you who feel like dancing, look for Electric Feel off Oracular Spectacular (Oct ’07), a song that really reminds me of the Scissor Sisters fronting Shout Out Out Out Out. Check out the video here or below. Apparently, you can download a zip file from this site and remix your own video by moving your cursor on different parts of the screen as the video plays.? Couldn’t get mine to work.